Some readers might find it useful to see the range of publications that are publishing worthwhile horror stories. Although this list is long, it’s a tiny percentage of the stories I actually read. So if you find your story and name on this list, that’s a good thing. In other words, it has to be a damn good story. I’m honored to tell you that three stories published by The Lovecraft eZine in 2013 have made it to this “Honorable Mentions” list. First of all, I’d like to congratulate the authors of these fine tales. Great job, folks — and thank you so much for sending me your stories. Secondly, I feel that once again, this says a lot about how seriously Lovecraftian fiction is taken these days. It’s not “fan fiction”, and it’s not “less than” other types of horror. I’m proud that these stories appeared in The Lovecraft eZine. Stay tuned… there are many more tales to be told. Thanks for reading The Lovecraft eZine! 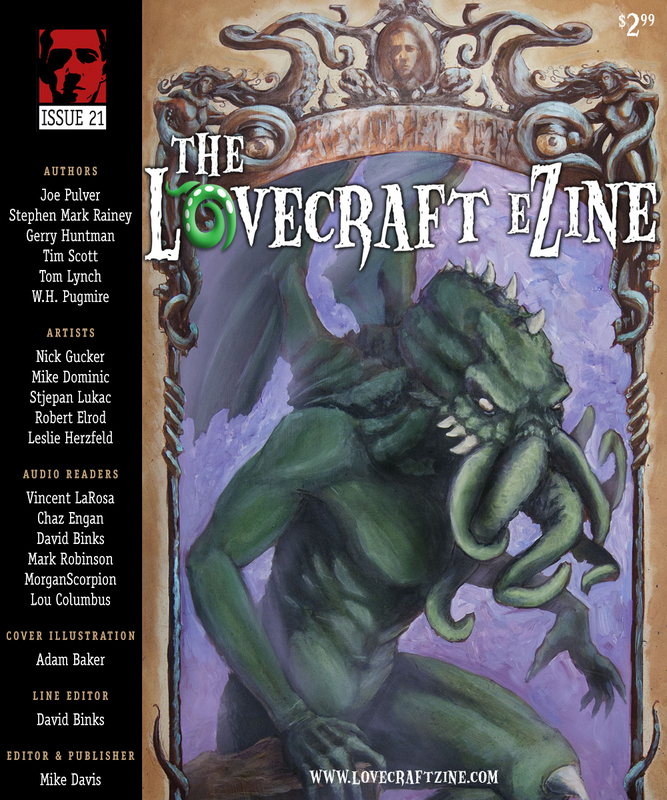 ← Write for the “Lovecraft eZine” blog!